A former high ranking civil servant claims road user charging is the biggest unresolved issue facing transport and the coalition government must put policy above politics. He argues that the government’s commitment to introduce road user charging for lorries is an opportunity to try out a scheme that could be later used for cars. Mr Rickett – who also worked in Downing Street for Margaret Thatcher and in the Cabinet Office Tony Blair – sees a case for first introducing ‘Pay as You Go’ motoring for lorries, as has happened in Germany, and then extending it to car drivers who could initially sign up on a voluntary basis in exchange for cuts in fuel duty. • Predict and Provide – meeting demand for travel with extra capacity. • Planning and Public Transport – discouraging longer journeys by putting shops, schools, workplaces and hospitals close to people’s homes, and shifting people out of their cars and onto other forms of travel. • Tactical Investment – plugging the biggest holes and undertaking occasional iconic projects. But he says none of these interventions – together or alone – will address the future huge demands for travel without the implementation of road user charging. He adds that the policies are further undermined because of the “inconvenient and brutal” truth that the cost of public transport has outpaced that of running a car. Commenting on the report Professor Stephen Glaister, director of the RAC Foundation, said, “The lessons from the past are clear. Economic growth and a rising population mean more demand for road space. To deal with this you need a plan and at the moment there isn’t one. “Huge public subsidies to the bus and rail industries have – with the exception perhaps of London – essentially failed to get people out of their cars. And anyway those subsidies will be squeezed as spending cuts bite. “It is clear that those within the Department for Transport have long regarded some form of Pay as You Go driving as the only realistic way of limiting traffic growth, and making motoring taxes and charges fairer for drivers. Yet successive ministers have failed to grasp the nettle and have the debate. The Royal Automobile Club Foundation for Motoring Ltd is a charity that explores the economic, mobility, safety and environmental issues relating to roads and responsible road users. Independent and authoritative research, carried out for the public benefit, is central to the Foundation’s activities. William Rickett was Director General, Strategy, Finance & Delivery in the Department for Transport between 2000 and 2004. He has fifteen years of Board level experience across five UK Government departments, focusing on energy and transport, and was most recently Director General in the Energy Group of DECC. He worked in 10 Downing Street for Margaret Thatcher and in the Cabinet Office for Tony Blair. He is now a senior adviser with Cambridge Economic Policy Associates. William Rickett’s paper, Transport – Lessons from the Last Decade is available on the RAC Foundation website. In the report Mr Rickett looks at the 1998 Transport White Paper, the Ten Year Plan of 2000, the 2004 Transport White Paper, the 2007 Transport White Paper, the Eddington Report of 2007 and the Coalition Agreement of 2010. According to the Office of National Statistics the population of the UK is set to rise to 71.6 million by 2033, 16% higher than the figure in 2008. 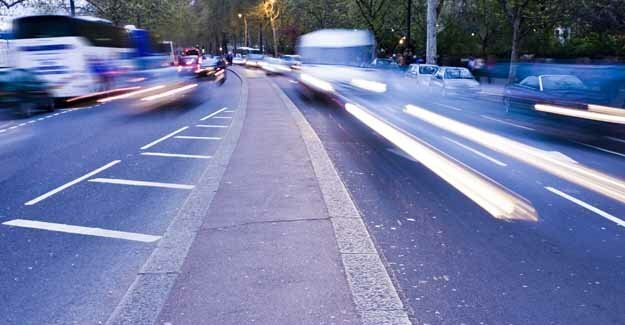 The DfT predicts traffic will increase by a third by 2025.